Newcastle boss Rafael Benitez says he is "waiting for an answer" over his future after holding talks with the club. The Spaniard's contract is due to expire at the end of the season and, while he has never expressed a desire to leave the club, no new deal is yet in place. 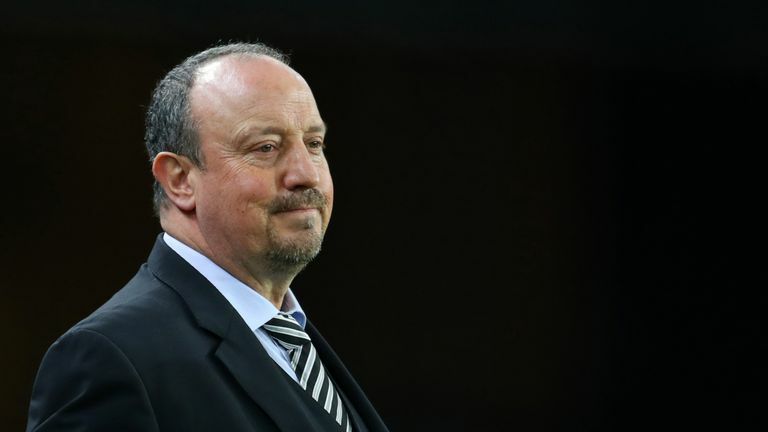 However, when asked about reports from France that he engaged with an agency on March 6 to find him a Ligue 1 club, Benitez replied: "I read the story. On the 6th March I was here in training having lunch and then I left around seven or eight, so no chance. "The only club that I am talking to now about my future is Newcastle United Football Club, and I am waiting for an answer. "I don't know, honestly [when I will get it] - I'm waiting for an answer." Benitez has previously said Newcastle, who are on 35 points with six games left to play, would need 38 points to secure Premier League survival. However, due to the performance of teams around them, the Spaniard believes the 40-point mark is now the minimum requirement. "I've said previously that 38 points could be enough but now you look at the table and maybe it could take 40 points to be sure," he said. Fabian Schar will return to the Newcastle squad for Saturday's Premier League clash with Crystal Palace. Schar has sat out the last two games through suspension, but would have almost certainly missed Monday night's 2-0 defeat at Arsenal with a head injury suffered on international duty with Switzerland. Full-back DeAndre Yedlin, midfielders Mohamed Diame and Isaac Hayden and striker Joselu will all undergo late fitness tests on knocks, but Sean Longstaff (knee) is the only confirmed absentee.